San Francisco city contractors and subcontractors need to note a few key differences in the Salary History ordinance that apply to them. Effective July 1, 2018, San Francisco’s Consideration of Salary History Ordinance (CSHO), also referred to as the Parity in Pay Ordinance, bans employers from considering the current or past salary of an applicant when making hiring or salary decisions. Additionally, a parallel ordinance applies to employers that are contractors or subcontractors with the city of San Francisco. 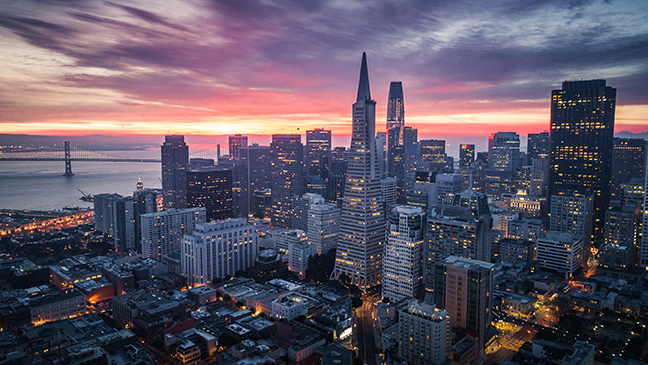 San Francisco city contractors and subcontractors are subject to the same employer restrictions and notice and posting requirements, but if you are a contractor or subcontractor, take note of a few key differences. First, all contracts must include a provision requiring compliance with the CSHO. Failure to include such a provision will constitute a material breach of contract. The requirements of the CSHO will violate or are inconsistent with the terms or conditions of a grant or agreement with a public agency, so long as the contracting officer has made a good faith attempt to change the terms or conditions to authorize application of the CSHO. Additionally, CSHO requirements may be waived where the contractor is providing wholesale or transporting bulk water, power or natural gas, (or ancillary services such as spinning reserve, voltage control or loading scheduling), and certain additional requirements are met. The Office of Labor Standards Enforcement (OLSE) enforces the CSHO, and an applicant or employee may report suspected violations of the CSHO to the OLSE. For contractors/subcontractors, the enforcement rules are a little different. For first violations or violations occurring from July 1, 2018, through June 30, 2019, the OLSE will issue warnings and notices to correct and offer the contractor or subcontractor technical assistance on how to comply with the CSHO requirements. Starting July 1, 2019, for a second violation, the OLSE may impose a penalty of $50 for each employee or applicant whose rights have been violated — the amount can be deducted from the amount payable under the contract. For subsequent violations, the penalty may increase up to $100 per employee or applicant whose rights have been violated. Termination or suspension of a contract, with all monies due being forfeited and retained by the city. A determination that the contractor or subcontractor is an irresponsible bidder may subject the contractor or subcontractor to debarment procedures under Chapter 28 of the Administrative Code. More information about the CSHO can be found on the OLSE website. CalChamber members can read more about 13 San Francisco local ordinances in the HR Library. Not a member? See how CalChamber can help you.